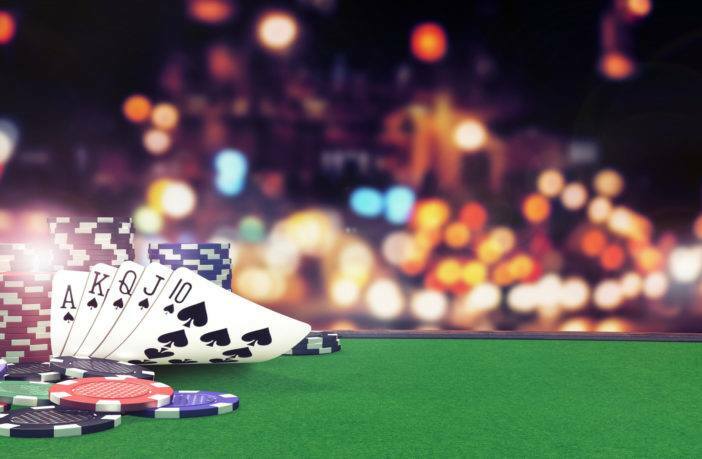 You are at:Home»Poker»How to Sign Up on Pokerstars Australia: Can You Still Play? Pokerstars is one of the most popular online poker rooms in the world and attracts more players every day. All you have to do is create an account and join a table. Australian gambling laws, however, change the ways in which you can play on Pokerstars. Learn how to sign up for Pokerstars Australia, here. Find out if you can still play with your old account and how to redeem your rewards. Can You Still Play on Pokerstars Australia? The short answer is yes and no. Yes, you can still play poker on Pokerstars if you live in Australia. You cannot, however, make deposits into your Pokerstars account or play real money games. In 2016, the Interactive Gambling Amendment Bill came before the Australian Parliament. The bill bans all gambling website that is not licenced under state or federal law. Pokerstars is an off-shore company that offers poker services remotely via the internet. So, when the bill was passed by Parliament on August 16, 2017, Pokerstars could no longer provide Australians access to real money poker games. Even today, you can only play free-to-play games on Pokerstars if you are an Aussie. The same goes for Full Tilt Poker, which became subject to the same laws in August 2017. Full Tilt Poker is part and parcel of Pokerstars. What Happens to Your Pokerstars Account? Not to worry–your Pokerstar account funds are safe and retrievable. The company operation funds are separate from players account funds. The cashier on Pokerstars still functions to withdraw any remaining balance from your Pokerstars account into your linked bank account. You can log into Pokerstars with your old account information to retrieve leftover funds and rewards. Be aware, that you cannot play on real money tables or enter into real money tournaments. If your account is registered in Australia, you can only access your information and withdraw funds. Or, you can play for free with fake money. But, you cannot use your real money funds to play poker on Pokerstars in Australia. Any tournament money or tickets that are left in your Pokerstars account are automatically converted into cash when you go to the cashier. The cashier converts tournament tickets and money into the equivalent value in real money. If you happened to be online and playing on Pokerstars when the law went into effect in 2016, what happened to the money on the table, that you were playing with? It was refunded to you. Any buy-in amount that was active at the time of disconnection has been put back into your account. StarsRewards and StarsCoin can still be spent on merchandise in the Pokerstars store. But, it isn’t as much fun to sport the colours when you can’t actually play on the site. So, you can also purchase a $1 cash rebate from the Pokerstars store to convert your StarsCoins into real money. Chests that are not open yet can still be opened and the rewards claimed. You should, however, claim any rewards that are pending before you cash out. If you have any chests yet to be opened, do it before going to the cashier. For converting your T-money into real cash, contact Pokerstars support and they will help you. Is Full Tilt Poker and Pokerstars Owned by the Same Company? Both, Pokerstars and Full Tilt Poker are operated and owned within the United States. Pokerstars bought Full Tilt Poker as part of a settlement with the United States Government in 2012. About a year earlier, on April 15th, 2011, the United States Government shut down domain access to Pokerstars, Full Tilt Poker, and Absolute Poker for a slew of offences. That day was the last for Absolute Poker, and it was never heard from again. Pokerstars and Full Tilt Poker regained access and use of their domain names before settlement talks began. The acquisition opportunity for Pokerstars took shape once regulators began looking into the two companies financial status. Pokerstars acquired Full Tilt Poker due to Full Tilt’s poorly run finances. Pokerstars entered into settlement talks with government entities in quick order after the shutdown. The company was in good financial shape and made quick work of paying US customers their due settlement. Full Tilt Poker, however, was not able to pay back their customers. The company was in bad shape financially, and regulators shut down the site after it was clear that Full Tilt was bankrupt. Pokerstars used the opportunity to the companies advantage. The United States government and Pokerstars agreed that Pokerstars would acquire all of Full Tilt Pokers’ assets and intellectual property–as well as their settlement debt. In total, the government garnished $547 million from Full Tilt and Pokerstars to pay back customers in the United States, and in 2014 the payments started to roll out. From the Pokerstars website homepage, click on the icon that reads, “Play Poker.” You are directed to a download page where you click on the “Download” icon. A download notification should pop up on your screen to ask you to run the program. Click “Run Program” and the installation process begins. Choose which language you prefer and read the Pokerstars Terms and Conditions before pressing the “Next” button at the bottom of the window. Click “Install” and “Finish” once the install is complete. Now you have the software on your computer, so it’s time to create your Pokerstars Australia account. From the main lobby screen, click the “Create Account” button under the “Account” drop-down menu. Choose a username/password that you can remember and verify your email. Once you have created your account and verified your email, it’s time to play poker! And, Pokerstars even offers mobile account setup for poker on-the-go. Choose from the free-to-play game selection in the Pokerstars lobby. You can play limit or no-limit Hold’em, Stud, and Omaha poker. Click on your game of choice and choose an open seat to sit down in. Be aware, if you try to make a real money deposit in your new PokerStars account you will be denied. You cannot deposit funds within an Australian IP address. And, don’t even try working around it with a VPN. The Australian government has provisions in place to keep you from using a VPN to deposit, and so does Pokerstars. If you want to play poker for real money in Australia, Pokerstars is the wrong place. Where Can You Play Online Poker for Real Money in Australia? So, where can Aussies play online poker for real money? Plenty of places! The law doesn’t restrict playing online poker at all. It only restricts non-Australian poker sites from operating within the country. Forget Pokerstars–there is a new popular poker room for Aussies to play a few hands. Ignition Poker came onto the Australian scene shortly after the new law went into effect. By 2017, Ignition Poker claimed a stake in the Australian online poker industry. The site is owned by Bodog Group, making the site and services as reputable as they come. Bodog Group is a collection of online poker rooms and online casinos that operate all over the world. It is owned by the PaiWangLuo Network–the largest parent company of online gambling websites in the world. Ignition Poker started in the United States in 2016, before making services available to Australians as well a year later. So, you can sit at tables with Australians and Americans. Ignition Poker offers all the same games as Pokerstars, as well as some new and unique poker games. Players accrue club rewards and receive promotions for Ignition Casino. It offers a regular tournament schedule with high guarantees, as well as cash and sit-n-go tables. Unlike Pokerstars or Full Tilt Poker, Ignition Poker offers a cryptocurrency deposit method for Bitcoin users. Minimum Bitcoin deposits are $10 and a maximum of $5,000. Players can also deposit via a credit or debit card to play at the same tables as Bitcoin users. $20 is the minimum deposit for cards and $1,500 is the maximum deposit. The big benefit of depositing with cryptocurrency is that it doesn’t incur any fees. Bitcoin has no withdrawal or deposit fees on Ignition Poker. Card deposits are charged a 5.9% fee, except for American Express cards. Amex cards are charged a 9.9% deposit fee. Pokerstars Australia is still up and running for free-to-play users. But, if you’re looking for the real thing in Australia, check out Ignition Poker, Bodog88, or BlackChip Poker. They are just a few of the reputable online poker rooms that have sprung up since Pokerstars discontinued service in Australia. If you like this article on signing up for Pokerstars Australia, share it with your social media community. And check out the blog for more information on Australian online poker. Thanks for reading!